• Protected areas of conservational priority, which include strict reserves (natural and cultural), reserves and objects of natural and cultural heritage. 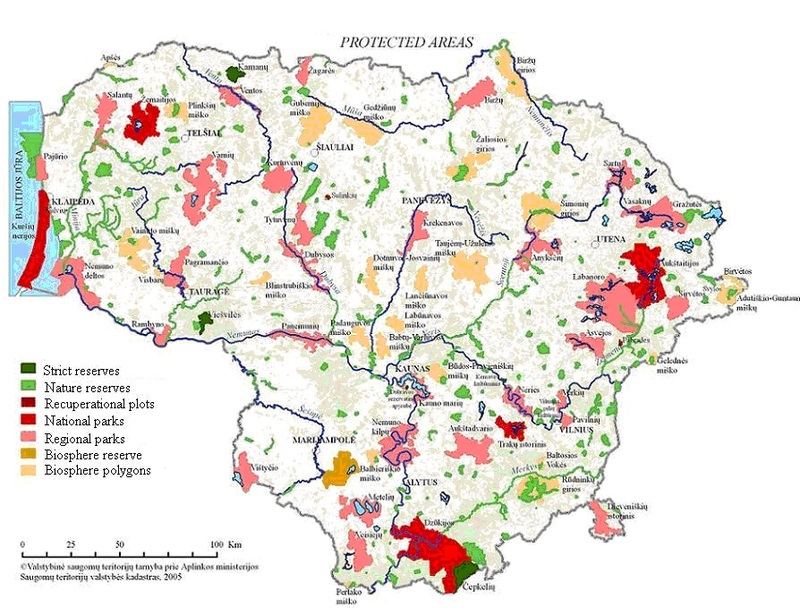 • Protected areas of ecological protection priority, which include zones of ecological protection. • Protected areas under restoration, which are designated for restoration, augmentation and protection of natural resources and genetic plots. • Integrated protected areas, which include National and regional parks and biosphere monitoring areas (biosphere reserves and biosphere polygons). At the beginning of 2010, the Natura 2000 network covered 12.4% of the country’s territory. 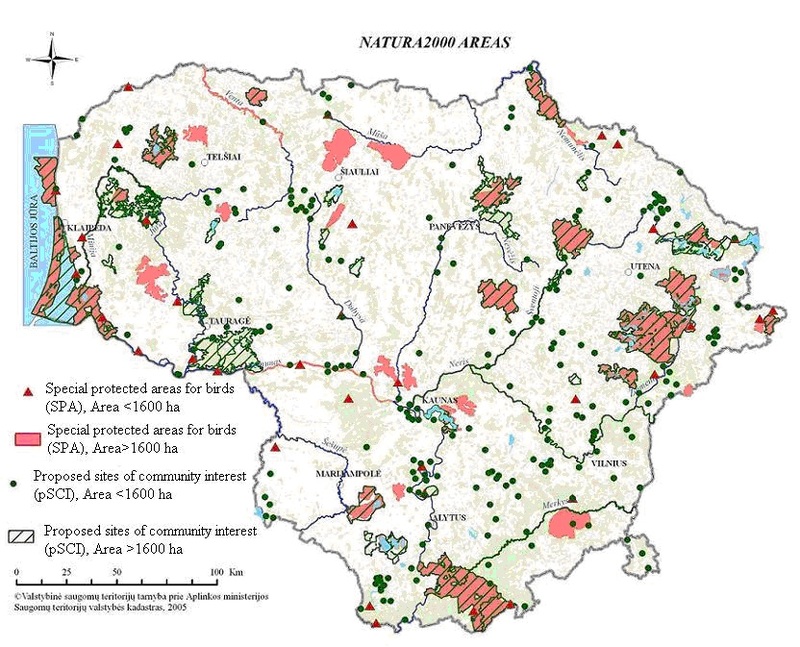 Bog woodland and Western taiga predominate among sites of community interest in Lithuania.